Overall Rating – 8/10. Why Love One Guy When You Can Love Five? Multiple Personalities, or DID (Dissociative identity disorder) is a fascinating topic. Fight Club, Primal Fear, Me Myself & Irene, Raising Cain… Sybil… there’s a bunch of awesome, intense movies about this mental disorder. This is not an intense drama, however. It tries to be. But let’s just say that’s the weaker personality. 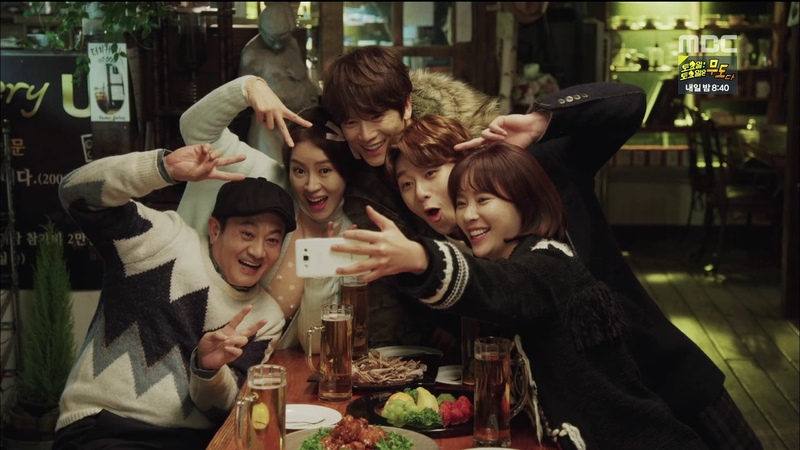 The dominate personalities of this drama are Romance and Comedy. Ji Sung owns this show, playing the lead male with DID. Five distinctive personalities inhabit his skin and he pulls them all off flawlessly. There are other reviewers who have gone into detail about each of his identities – which are important to the plot and the main element of comedy – but whatever. You’ll see them all if you watch it. Let’s talk about the lead female played by Hwang Jung-Eum. And her vocal cords. Now, screaming Koreans aren’t new to me… but this chick screams. A LOT. And it’s loud… so so loud… and near hysterical. She screams when she’s happy. She screams when she’s flustered. She screams when she’s thinking of things too hard. She screams in the closed interior of a taxi cab. This chick is loud. Honestly, her behavior is hysterical and three times crazier than all her inpatients at the psychiatric ward. Maybe that’s part of the humor. I certainly found it funny. Her brother, played by Park Seo-Joon, is also quirky and funny. All their twin-isms are adorable. They fight, they bicker, they bully each other and dance around the house as naturally as two people who had been raised together all their lives. That’s good acting, people. For a second male lead, he was outstanding. I liked his personality, his humor, his occupation, his devotion to family, and his complexity. Not to mention the physical humor. The mother and father of these twins are also a riot. They’re such good people, so loud and boisterous and caring. I immediately wanted to be adopted by them. When it’s being cute, that is. It also tries to be serious. And for me, that’s when the drama failed. It wasn’t a surprise that our DID male lead had something traumatic happen to him. I mean… people don’t fracture into a million pieces over nothing. But there was something anti-climatic about this back story. Child abuse. Basements. Secret children. It should have been bone chilling. It should have scarred me for life, like the backstory in I Miss You. It should have at the very least been as pathetically sad as the backstory in Bad Guy. Instead, it just came across as bad green screen and… honestly… confusing. I didn’t realize there were any children in Korea who couldn’t make me openly weep, but there are… they were all cast in this show. 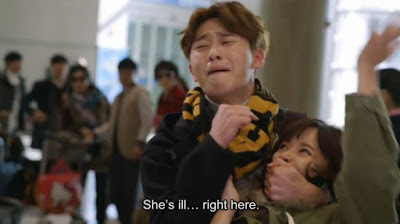 Don’t get me wrong, they were cute as buttons and knew their lines… but I’ve seen children in K-Drama’s that tore out my heart with desperation and fine acting. The “evil grandmother” was also surprisingly mild. Again… I didn’t realize there were any older Korean actresses who couldn’t make me wince with their searing words and cold, cold hearts as they played an evil grandmother. What happened? Did they blow their budget on the lead actors? And what about Kim Yoo-Ri as the kinda-sorta-not-really second love interest?! She’s an awesome actress! She was totally wasted in this show. She just wandered around looking like she’d taken too much Valium. Wake up, princess! You’re a great actress! Read your scripts before you take the role… this show didn’t offer you any room to shine. Right around episode 10, I lost interest. I didn’t even care who abused who or why. Who set the house on fire? Who’s kid is our screaming leading lady? Why were they locked in a basement together? Somehow… my will to continue this show was gone. I’ve committed to some crazy dramas before. And loved them. And cried and cried and been an emotional ball for days afterwards. I’m not sure why this particular back story just didn’t do it for me. I know it’s gold to millions of other viewers, so don’t decide the fate of this drama on my review alone. I really cared about the main leads, though. In the present. I cared about every single one of our main leads personalities, too. I was invested in all of them, in their small stories, in their struggles to be realized as individuals while knowing they were fragments of someone else. They were fascinating! Shin Se Gi in particular. Wow. Probably the most memorable scene for me was him trying to woo our lead female by offering her a wide variety of presents fit for a six year old and his genuine frustration with her for not being more excited about them. When it was being funny, when it was being zany, when it was off the wall crazy, or when it was sweet…this show worked. 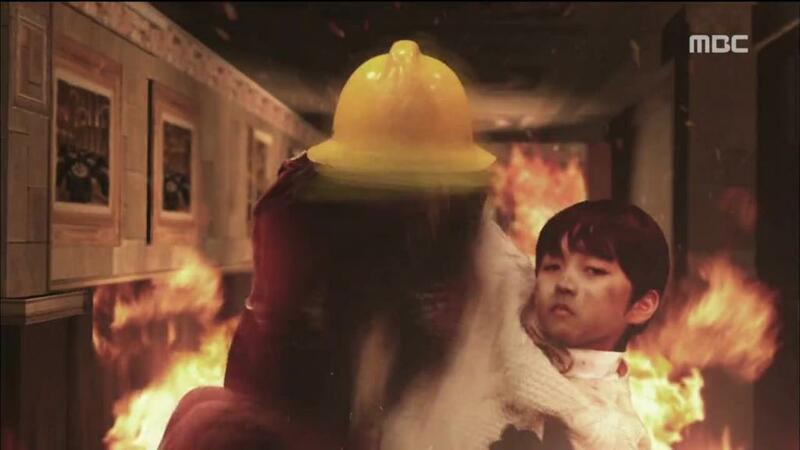 When it tried to be melodramatic… nope. So… what to say? I loved so much of it. I loved… say… three quarters of it. The rest was meh. Which leaves me with lukewarm feelings about this drama. Personally, I think there are better ways to spend your K-drama time.